Ultimate Elegance & Unparalleled Quality! The new Baleno with its bolder stance, enhanced exterior design, innovative features and advanced technology delivers an exceptional driving experience. The new Baleno is created to inspire you to take bolder paths. 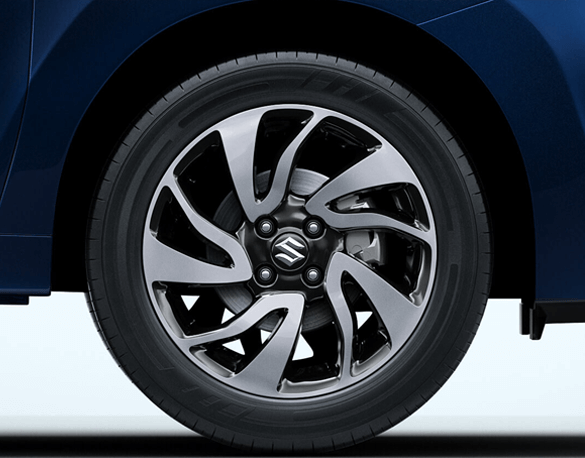 The Stunning new Precision Cut Alloy Wheels ensure that the New Baleno makes its presence felt even from afar. 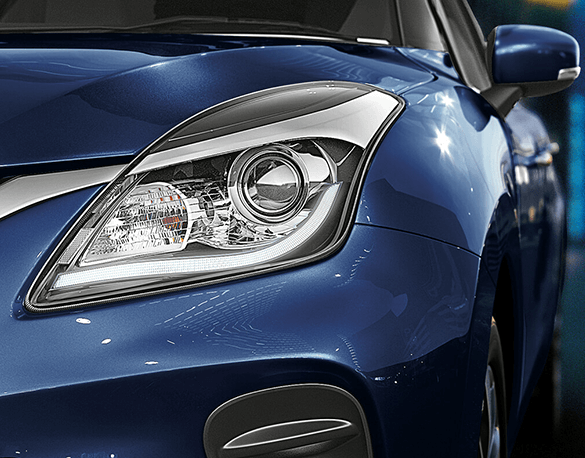 The New Baleno is a bright sensation driving into the night with its New LED Projector Headlamp with LED DRLs. 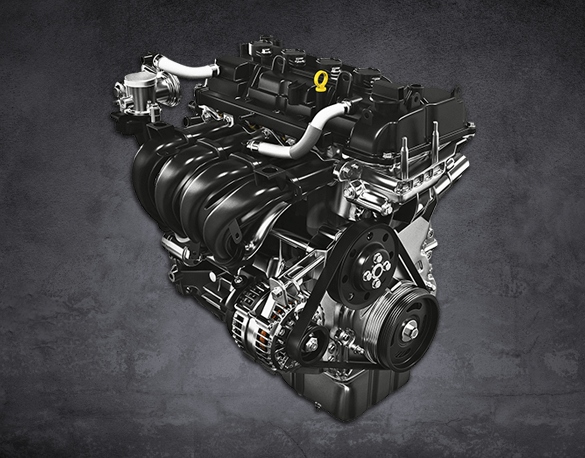 1.2L VVT PETROL ENGINE with exceptional performance, available in 5-speed manual transmission and CVT options. 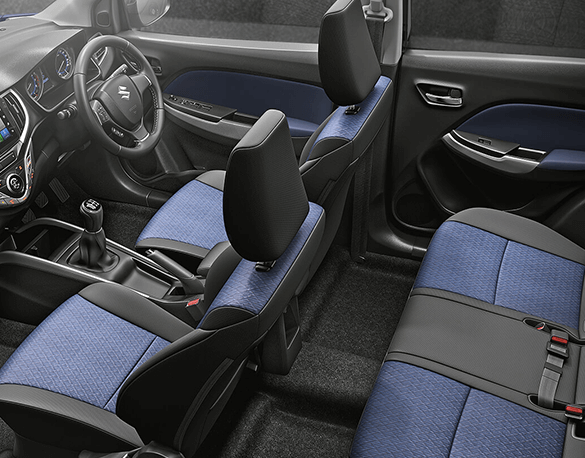 Experience Comfort & touch of perfection with premium Dual Tone Black & Navy Interiors. The speed alert system gives audible warning for alert of over-speed to driver. When vehicle speed exceeds about 80 km/h, primary level warning with two beeps will sound every minute. When the vehicle speed exceeds about 120 km/h, secondary level warning with continuous beeps will sound. If the vehicle speed is slowed down to about 118 km/h, primary warning will resume. If the vehicle is slowed down to about 78 km/h, speed alert warning will stop. This buzzer does not indicate any malfunction in vehicle. The New Maruti Suzuki Baleno, most popular and fast selling Hatchback of Maruti Suzuki NEXA is created to inspire Boldness. The premium hatchback has raised its style quotient with its enhanced exterior design and new premium interiors. 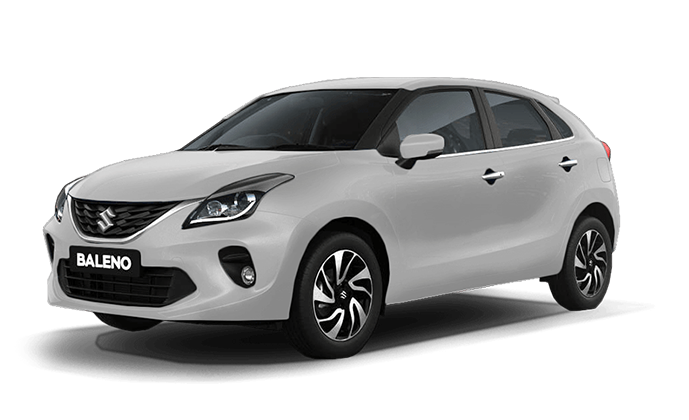 It comes with a powerful1.2 Lts VVT Petrol Engine & DDiS 190 Diesel Engine. The petrol engine is available in 5-speed manual transmission and CVT options. Considering the exceptional power, better low-end torque, better combustion, reduced engine friction, and lower emissions, Baleno delivers the best-in-class fuel efficiency. The Baleno comes with the option of the New Generation Advanced Automatic Transmission (CVT), Continuously Variable Transmission. It delivers a seamless performance with ease of driving. The Key features and specifications of Maruti Suzuki Baleno are as given below. New Maruti Suzuki Baleno Petrol variants include – Sigma, Delta, Zeta & Alpha. 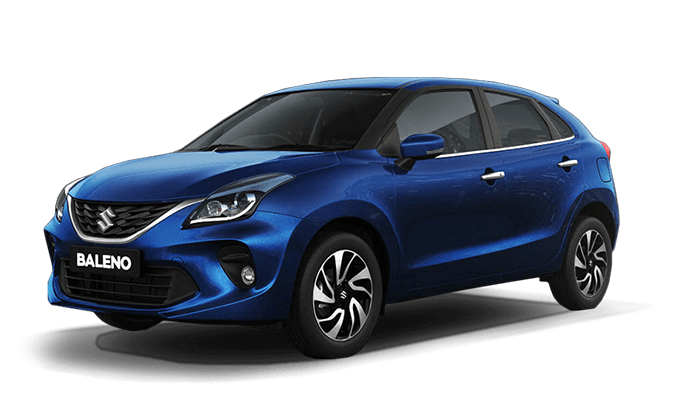 New Baleno Automatic CVT is available in Delta, Zeta and Alpha variants. Baleno Diesel variants include – Sigma, Delta, Zeta & Alpha. 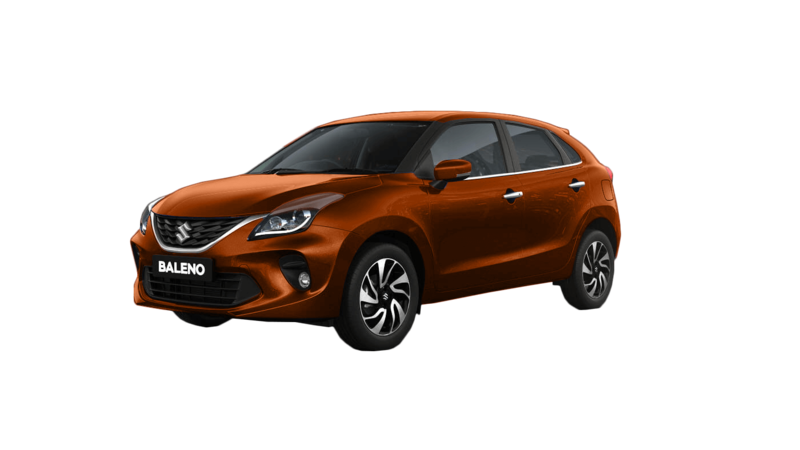 Baleno sports variant comes with petrol engine and is known as Baleno RS. Maruti Suzuki Baleno gives fuel efficiency of 21.40 Km/lt in Petrol Manual & CVT Transmission, 27.39 km/lt in Diesel Manual Transmission and 21.10 Km/lt in Petrol RS variant. A new 3D graphic design grille with the aggressive front bumper announces the boldness of the new Baleno. New LED Projector Headlamps with LED DRLs illuminate the roads along with the new distinct fog lamps. The New Baleno makes its presence felt with the new dazzling Two-tone Precision Cut Alloys. 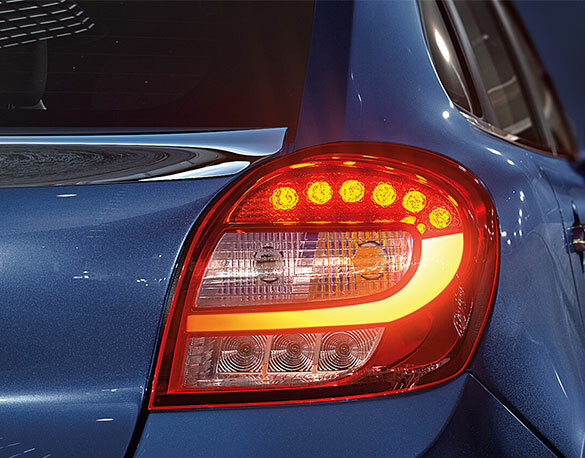 With striking LED Rear Combination Lamps and Rear Spoiler, the New Baleno leaves a lasting impression as you drive away. New Maruti Suzuki Baleno comes with Dual Tone Black & Navy interiors. It has a cabin crafted from exceptional materials and premium, plush & comfortable Black and Navy Fabric Seats. The New Baleno comes with refreshed interior ornamentation. 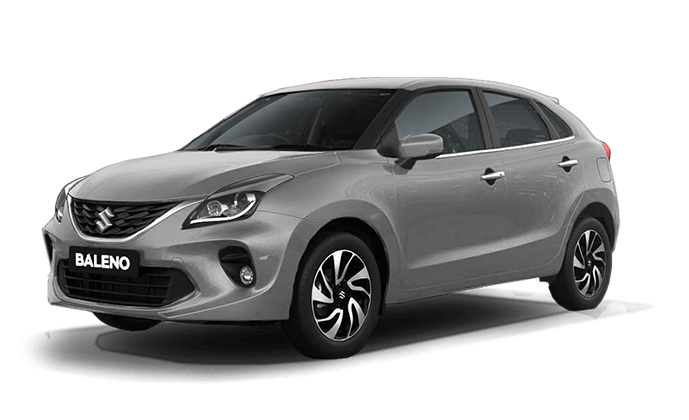 Baleno Utility features include Front Doors Bottle Holder, Front Floor Console & Armrest Storage Console. The features increasing convenience are Remoteless Key entry, Push Start/Stop button with smart key, Steering Mounted Audio Controls, Adjustable Telescopic & Tilt Steering, Reclining Rear Seat with 60:40 split & height adjustable Driver Seat. The new Maruti Suzuki Baleno comes with TFT Multi-Information Display that makes it convenient to keep a track of your car’s vital information. This includes fuel consumption, energy flow, trip details, driving range, and gear shift. The New Baleno has an integrated tab-like SmartPlay Infotainment System with Android Auto, Apple Car Play and MirrorLink that provides easy access to smartphones and ensure seamless entertainment. One can play music, navigate and stay connected while on move with New Baleno. S-Connect or Suzuki Connect is an advanced telematics solution. Suzuki Connect helps you connect to your car by providing a wealth of features and information that enhance your on-road experience. From your vehicle’s maintenance to helping you drive better and even save fuel, Suzuki Connect will ensure that you and your Baleno become a part of a better-connected world with features like Vehicle Tracking, Emergency Handling, Driving Behaviour Analysis, and Live vehicle status. The New Maruti Suzuki Baleno is equipped with the Nexa Safety Shield, a collection of advanced Safety features that adheres to the highest safety standards, designed to keep passengers safe in various situations. It is based on Suzuki-Tect body, i.e. Suzuki’s Total Effective Control Technology (TECT). This concept results in total absorption and dispersion of crash energy. The extensive use of high tensile steel for major parts makes the body light, strong and safe. Standard Safety features across all variants included in Nexa Safety Shield are Dual Front Airbags, ABS with EBD, Isofix Child Seat Anchorages, Seat Belt Pre-tensioners with force limiters, Pedestrian Protection Compliance & Full frontal impact compliance, frontal offset impact compliance & side impact compliance. 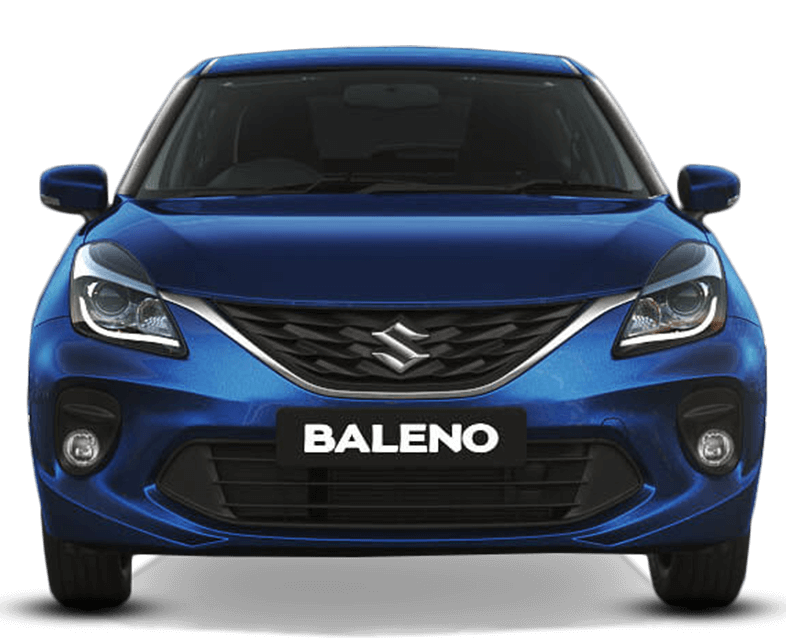 The New Baleno also has Front fog lamps, Auto-dimming IRVM, Rear Defogger, Reverse Parking Sensors, Anti-theft Security system, Driver & Co-driver Seat belt reminder, Pinch guard power window for the driver & High-Speed warning alert. The base variant New Maruti Suzuki Baleno ex-showroom Mumbai starts from approx. Rs. 5.54 lakh whereas the Mumbai On-Road price of top Automatic variant goes above 10 lakhs.